Who is willing to give up a Saturday morning to spend it out in the rain? Central Seattle Greenways volunteer leaders, Merlin and Brie, talking at Columbia and 18th about plans for Columbia St. and Ridge Route greenways. Happily, several Central Seattle Greenway volunteers and Ted Virdone, a staff member for Seattle City Councilmember Kshama Sawant. 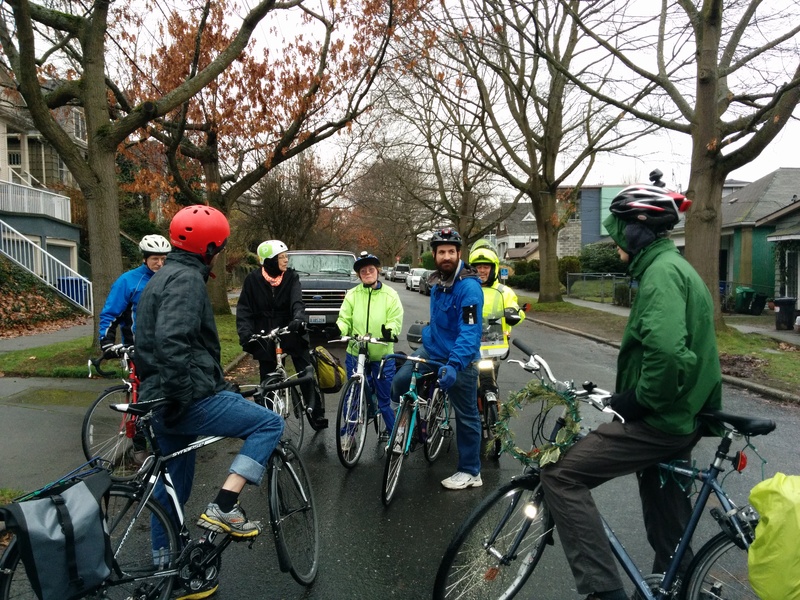 We met on Saturday, January 17 at a cafe for a quick ‘briefing’ before heading out on a bike tour of planned future greenways. 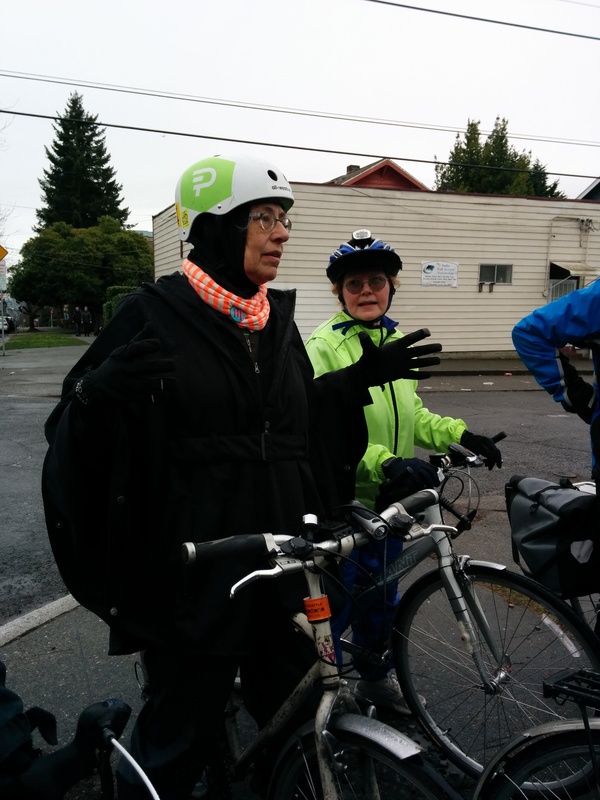 It was an exciting opportunity to educate Ted and Councilmember Sawant on Central Seattle Greenways and the work happening in our neighborhood to make streets safer for all users. You can help move these and other projects forward in 2015. Already this year we’re seeing movement on the Madison BRT Project, construction of the Central Greenway paralleling 23rd Ave from Rainier Ave S to Montlake, and Vision Zero. Come out and join your neighbors in a movement for safe streets. Ted Virdone, surrounded by Central Greenways volunteers on January 17, discussing a future greenway route in the central neighborhood. Central Seattle Greenways meets the second Monday of each month at 6pm. Check our Facebook page or sign up to join our email list for details of upcoming meetings and projects.